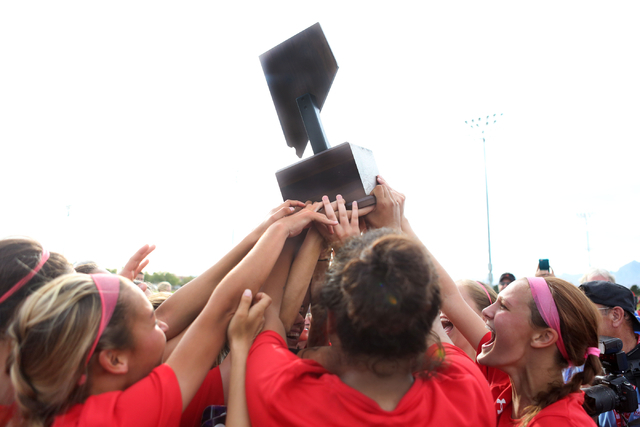 In USA Today’s Super 25 girls soccer rankings released Thursday, Arbor View comes in at No. 17. Fans of Las Vegas prep sports expect to see Bishop Gorman football in the national rankings, but the Gaels aren’t the only program to get national love. 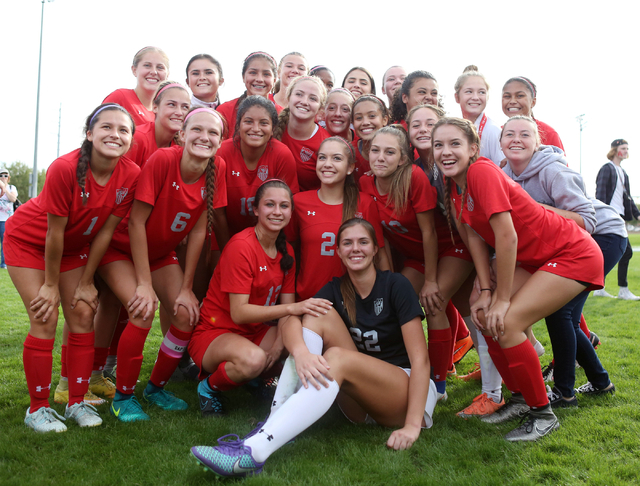 In USA Today’s Super 25 girls soccer rankings released Thursday, Arbor View comes in at No. 17. It is the highest ranking the school has had in its history. The Aggies have won the last five state championships and finished last season with a 20-1-2 record. Entering its 13th year, all under Howard, Arbor View has won six state titles, the most in Class 4A history and the second most in NIAA history. The Aggies’ 36 games between losses in 2015 and 2016 is a Class 4A state record. In 2015, they recorded 19 shutouts in 23 games, a Class 4A record. Arbor View was ranked to begin last year, and Howard said it put some pressure on the players to live up to that. Davis (Utah) comes in ranked No. 1 to begin the season. Montgomery (California) is No. 14, the only programs ranked ahead of Arbor View west of the Mississippi River. Howard said Arbor View tried to schedule a game with Davis for this season, but Davis’ schedule had already been finalized and they could not find a date. No future date has been set. Arbor View opens its season Aug. 25 at Lone Peak (Utah). Its first in-town game is Aug. 29 at Desert Oasis, and the Aggies’ home opener is Sept. 6 against Shadow Ridge. More preps: See all of our Nevada Preps coverage online at nevadapreps.com and @NevadaPreps on Twitter.